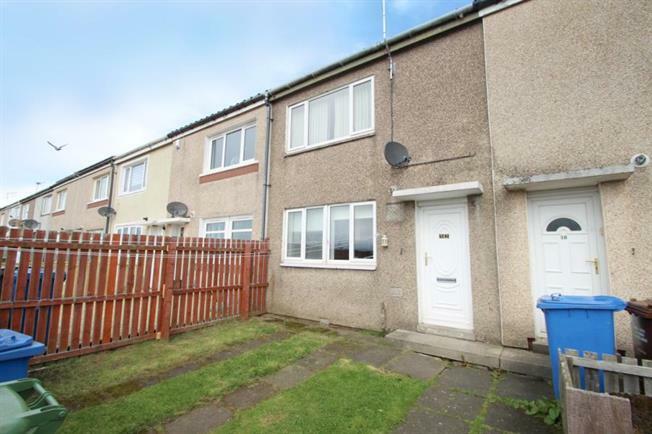 3 Bedroom Terraced House For Sale in Glasgow for Offers Over £75,000. Located within popular area is this spacious split level town house style property which offers superb family accomodation. The subject extends on the lower ground floor level of a good sized dining kitchen with door leading to garden and family bathroom. On the ground floor level there is an entrance hallway and bedroom 1. The first floor level offers a good size lounge/dining room. On the top floor there is 2 further good sized bedrooms. The property also boasts excellent storage thoughout. Further benefits include gas central heating and double glazing. There is gardens to front and rear, the rear garden gives access to street parking and is laid mostly to lawn. Ideal location top excellent local amenities and transport links with a good choice of nearby schooling. Early viewing advised.